I am very PROUD to announce that Stanton School has been judged by Ofsted to be “Outstanding” in all areas. 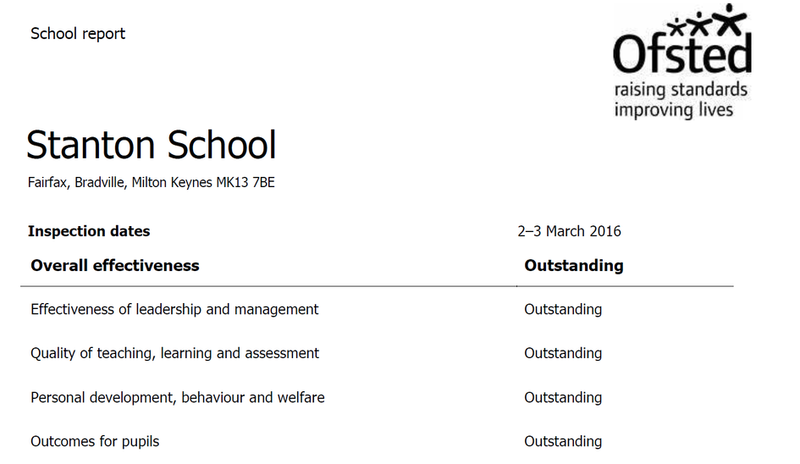 I am thrilled that the inspection team has recognised the high quality of all aspects of our school. This is a phenomenal achievement that reflects the commitment, hard work and dedication from our talented staff, families and children to ensure that we achieve the best that we can.